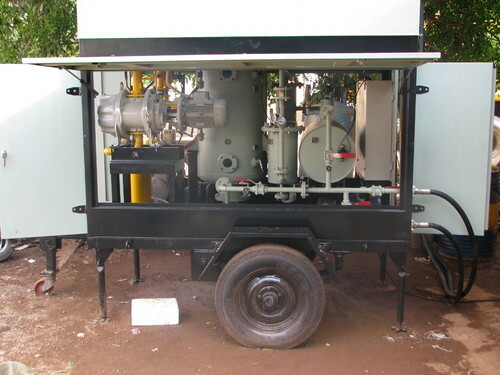 Ultra High Vaccum Transformer Oil Conditioning Plant is available at reasonable prices. Our range is widely appreciated by our clients for its performance, easy installation and minimum maintenance features. With the support of our workforces and resources, we meet the bulk requirement of clients within a stipulated time frame. The oil conditioning plant is provided with required capacity of vacuum to ensure that the required parameters as mentioned are achieved. This pump is provided with gas ballast valve to reduce the vacuum during operation and to prevent contamination of lubrication oil of pump with moisture, which is removed from the transformer oil in the initial stage.